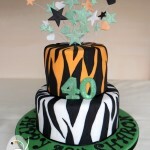 With a growing number of wedding cakes waiting to be shared on the blog, I have decided instead to continue on from my last post, with today’s cake not only another birthday cake, but also another design featuring animal print! The decorations were inspired by a photograph supplied by my customer (original designer unknown), with minor adaptations made to suit. 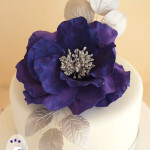 A ring of pink icing blossoms were placed in the centre of the top tier, leaving just enough room for a ’30’ candle to be placed on top before the celebrations. 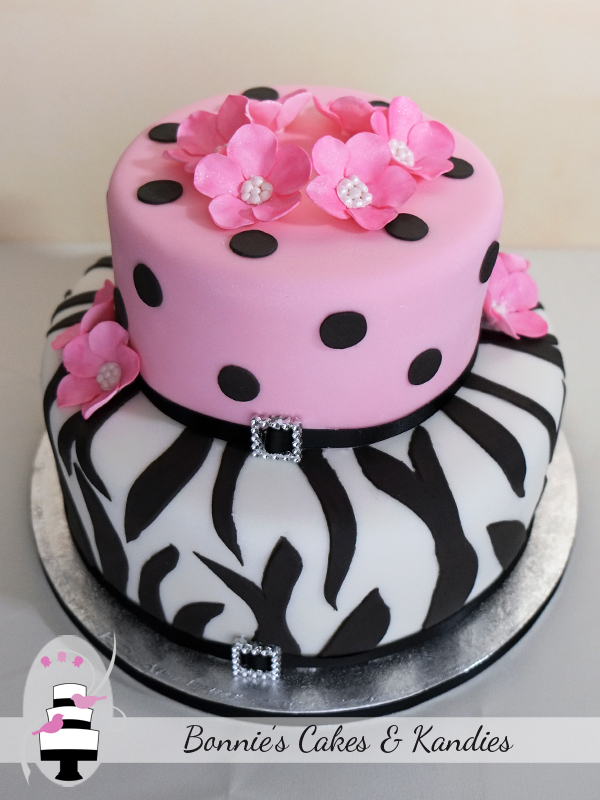 I loved the combination of the sweetness of pink with black polka dots and blossoms on the top tier, and the fun of zebra stripes on the bottom! The cake was entirely gluten free, with a different flavour for each tier. The top tier was made in choc-orange mud cake, and the bottom in dark chocolate mud cake. 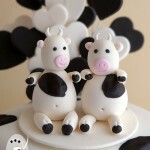 Both tiers were covered with my handmade white chocolate fondant, and filled with white chocolate buttercream. Delicious! 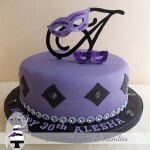 I was delighted to receive some beautiful feedback from my customer after the event, who let me know that her guests not only enjoyed the cake, but couldn’t believe that it was gluten free. Now that’s what I like to hear! 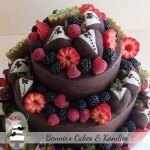 ‘Gluten free’ is never ‘taste free’ with Bonnie’s Cakes & Kandies, and I’d like to thank my customer for trusting me with the job of creating a special cake for her special birthday. Thank you!